Good times have a different definition for different people. For some it may be a good book while for some it may be beer with friends over a cricket match. For few it may be a staycation at a luxury hotel but for a person like my mother it would be interacting with strangers in a foreign land. I for an instance crave way too much. I mean I need everything. I need spine chilling adventures, good food, exotic location and a luxurious stay. Since not everything can be achieved at once, I tend to compromise on lesser important things. For example I let go of a five star stay in lieu of a beautiful room with a pool. Having said that, I can never let go of the charm of staying in a luxury hotel. For me, happiness would be luxury combined with adventure and nature. I am not a staycationer. I can't spend a single second extra on my bed while on a trip. I mean the world is vast; we got to explore every inch right? And this luxury with adventure fantasy of mine got fulfilled every bit during our last trip; our trip to Kerala. What immediately comes to your mind when you think of God's own country? I bet its backwaters! 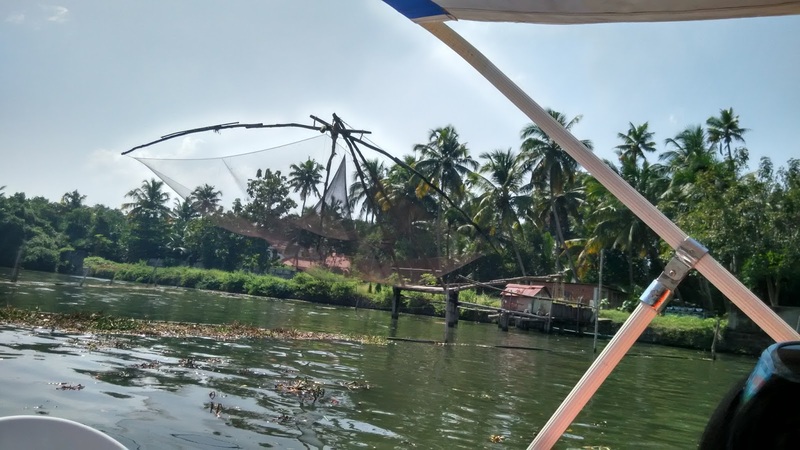 And houseboats on the backwaters is therefore my definition of good times. 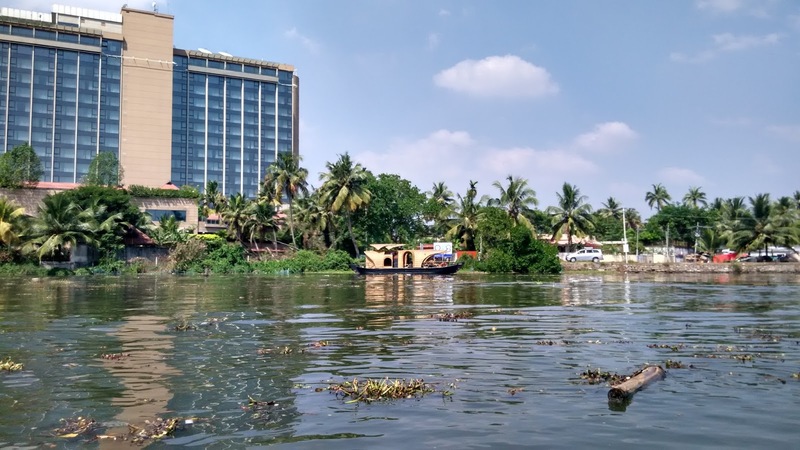 However what would happen if you club a five star stay with backwaters? For me it would be a win win situation! That's what exactly we planned during our Kerala trip. We booked Le Meridien Kochi for our last night and booked the rest five days in a four star hotel. 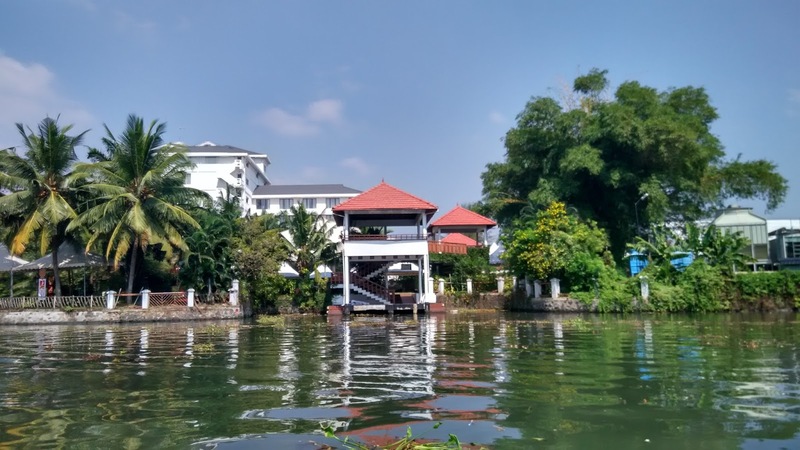 Le Meridien Kochi like everywhere else in the world is a lavish property but with a large strip of backwaters. And that is what won my heart and made me book a single night stay just to enjoy the backwaters with luxury. 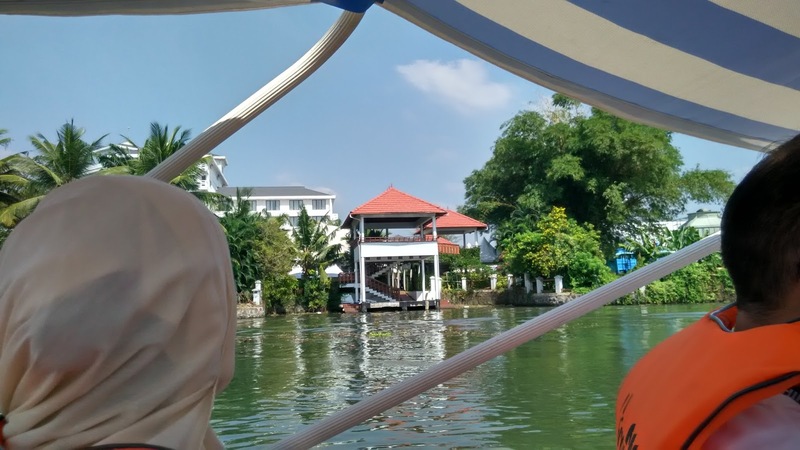 The day we checked in was filled with sightseeing of Kochi. See that is what happens with real travelers. They just don't get to spend time in the room! The staff was very polite and courteous. They were well versed in English, Hindi and of course Malayalam. We had dinner buffet and it was delicious! I am now officially the greatest fan of Malabari cuisine! I had a peaceful sleep in their plush king size bed. We had our adventure plans spread out for the next day. After a lavish breakfast, we proceeded towards the Jetty. We got into our life jackets and hopped into the speedboat. And whoosh! 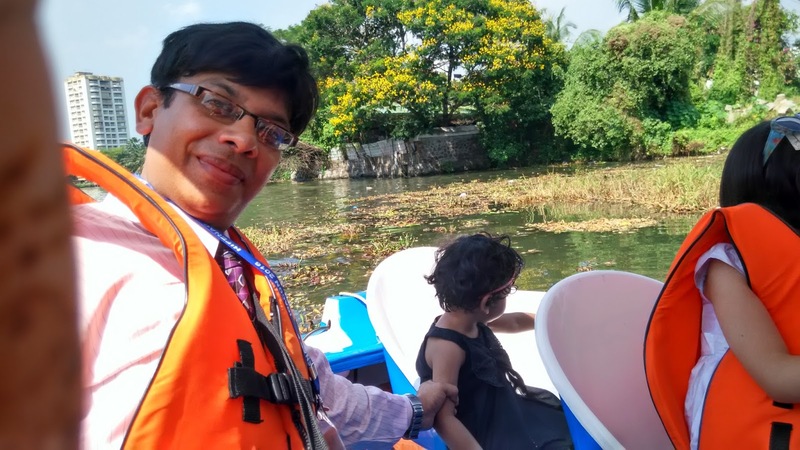 We were gliding through the backwaters. 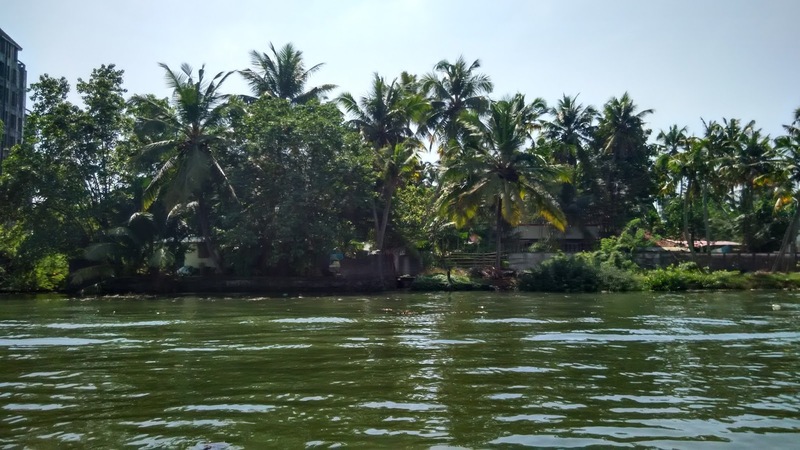 I had done the houseboat ride the previous day in the actual backwaters of Allepey. 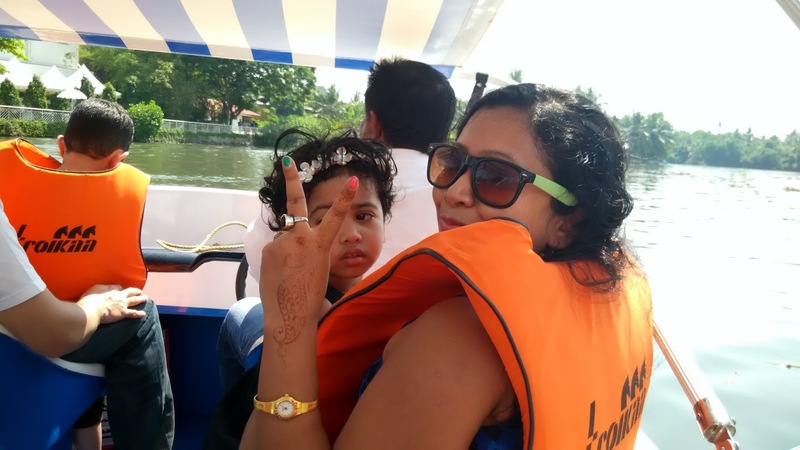 As much as the ride was smooth and romantic, nothing could beat the thrill and fun of a speedboat! I enjoyed the cool breeze embracing my face on a humid morning. The views on all the sides were enchanting. The property of Le Meridien itself looked magnificent from the boat. Hubs however could not enjoy the ride much. He was busy grasping our naughty daughter so that she would not topple over in excitement. The ride lasted for half an hour. I was absolutely refreshed. All my pent up stress regarding work back home vanished. Since we had our flight to Delhi in the afternoon, I did not have time to swim. I just satisfied myself my taking pictures in front of the sprawling pool. On the flight when my baby and husband were sleeping, I had time to introspect. I realised that luxury is just not a good night sleep in a plush bed. Or getting pampered in a spa. Or spending a hot day at the pool bar lazying around. Or cavier and champagne. Or when I am wearing my Louis Vuitton Bag and Cartier watch. Luxury is in your mind. Its when you are at your happiest self. And of course a five star tag in your luggage is a cherry on the cake. 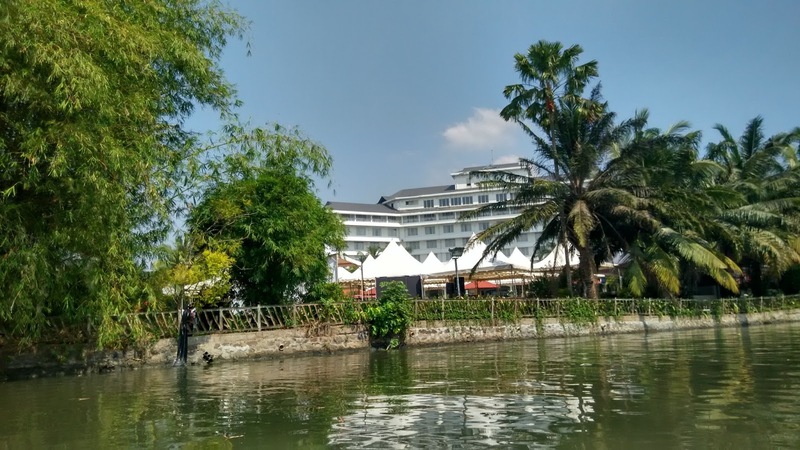 “I am blogging about my luxury stay experience for an activity at BlogAdda in association with MakeMyTrip"
Looks like a fun trip n m a fan of malabari cuisine too. So same pinch. N ur daghter looks just like u. This its perfect to do with friends your little one its so cute. How beautiful :) You have such a cute family! Kochi is an amazing place. You have narrated your experience beautifully. Really nice blog. I loved your style of writing. And of course the place is really enchanting. 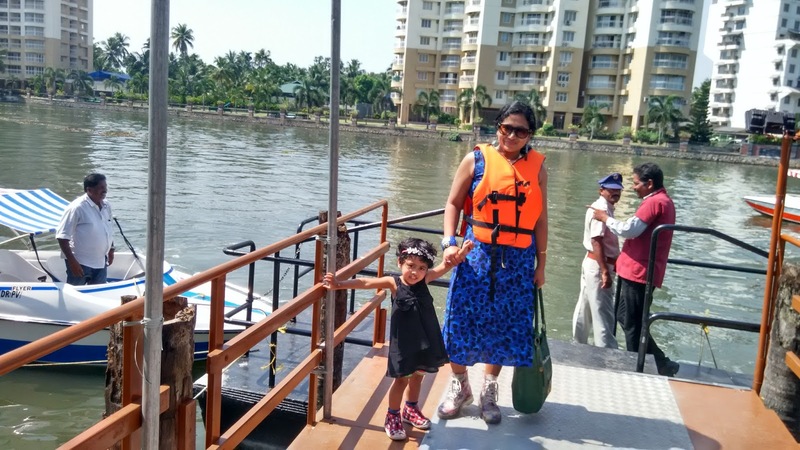 A nice post about the queen of Arabian Sea!! Thank you for a good article.